An intensive and active Dutch language course in one of the most beautiful national parks of the Netherlands, Weerribben-Wieden. In the morning you’ll have Dutch classes and in the afternoon we are going to explore the National Park together. 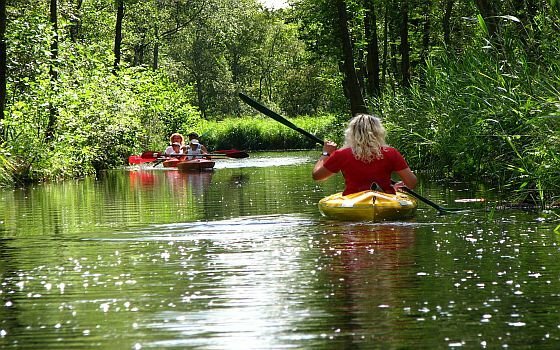 Join us for a beautiful Canadian canoe adventure through the traditional 17th century landscape of Waterland just north of Amsterdam. 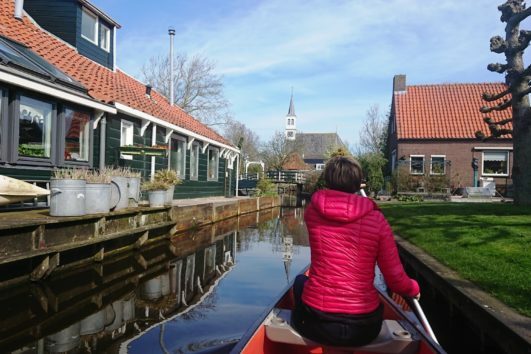 Enjoy the lovely scenery and its total quietness while you paddle through the Dutch polder landscape with its charming small villages and ancient Dutch houses. A visit to this area is like stepping back in time. 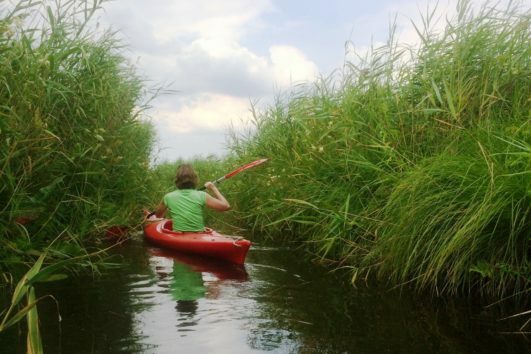 Join us for a canoe safari through the wetlands of Nieuwkoop, an excellent hide-away from busy city life. Paddle through narrow waterways and look out for various characteristic reedland and marshland birds or the lake’s beautiful water lilies. Slide quietly through the water in a canoe and enjoy the tranquillity of the area. The repetitive sound and rhythm of the paddle strokes make you feel truly connected with the natural world around you. 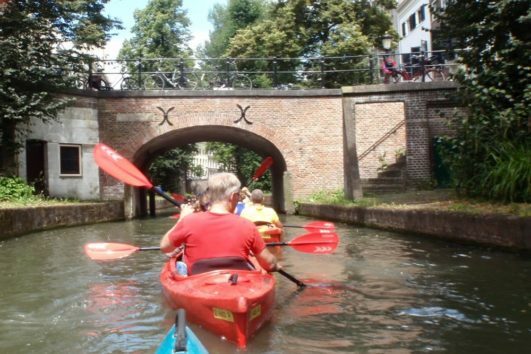 Explore Utrecht from the water and you will be treated to an entirely different view. See the historic façades of wharf side houses, sculpted tableaux, and all kinds of impressive trees along the canals, some of which are over 200 years old! The canals make for a great picture from the streets, but the views are most spectacular from the water itself in a canoe. 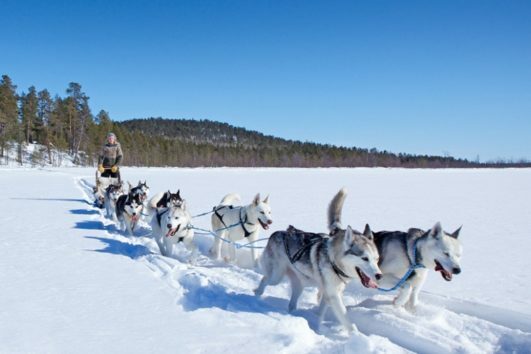 Vast snow-covered horizons far away from the tourist crowds, husky sledding, the thrill of cross-country skiing, a steamy hot Finnish sauna, snowshoeing, a visit to a reindeer farm and if we are lucky we’ll even see the magical northern lights. Are you ready for a Finnish Wilderness Adventure? 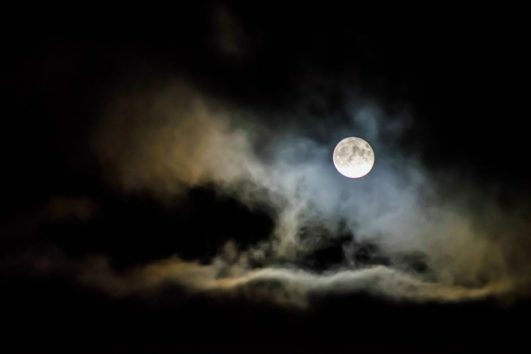 Wander through the woods and over the beach by moonlight, admire the stars from the most stunning spots, or spot local animals in their natural habitat while a ranger of Staatsbosbeheer takes us on a full moon walk. The dark sky and the moon have been a source of wonder ever since humanity has had the capacity to muse about such things. 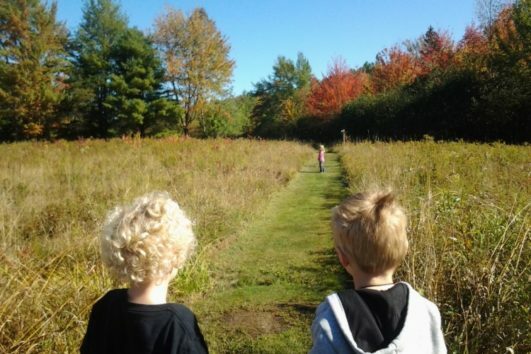 Imagine a place where kids can ignite their natural sense of wonder and curiosity about the natural world. Where they can build huts, sleep under the stars, sing songs around the camp fire, bake their own bread on a stick, befriend a tree and get dirty. It is all possible in this beautiful place in the Veluwe in the middle of the forest. We are going on a back to nature weekend for kids and parents. When was the last time you felt truly connected? I don’t mean connected to your phone, your job, your social media feed or your to-do list. I mean connected to yourself, the people around you, nature. 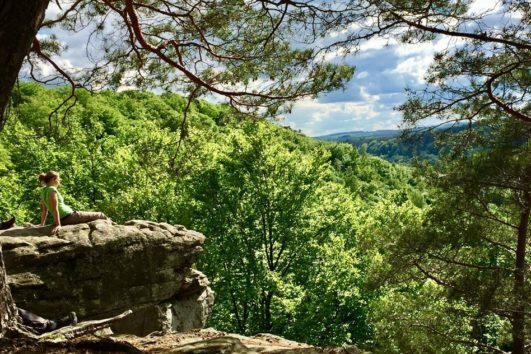 Nature and adventure lovers you are in for a treat. Mother nature has created a subtropical island full of natural beauty hidden far away in the middle of the Atlantic Ocean, it is called Madeira. Spectacular scenery, pleasurable weather, exotic flowers and lush subtropical vegetation make Madeira one of Europe’s most beautiful islands. Wind, sun, sea, salty air, great company and beautiful views. We are going on an amazing sailing adventure on the open water of the Wadden Sea (UNESCO). 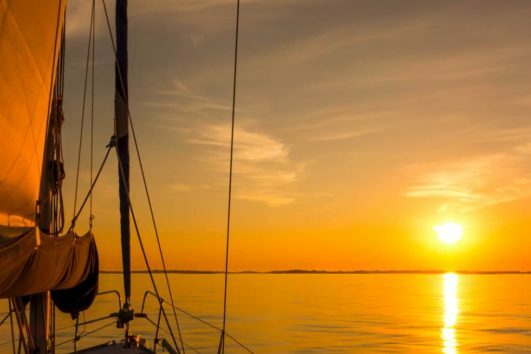 Sailing on the Wadden Sea is something special. It is a different world, it’s dominated by the forces of nature. Get out in the fresh crisp mountain air, recharge your batteries and invigorate your well-being. Release the stress of daily life and workplace hassles by flying down the snow covered mountains while joining Nature Connects’ ski trip! 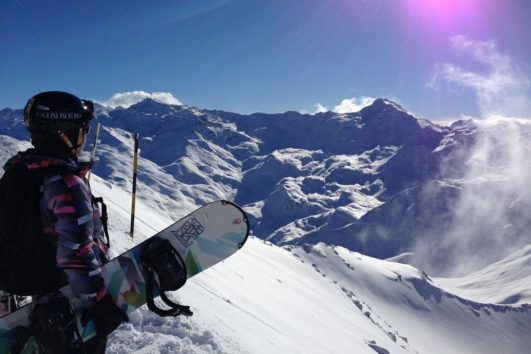 Whether you are a total beginner or a seasoned skier/ snowboarder everybody can join. 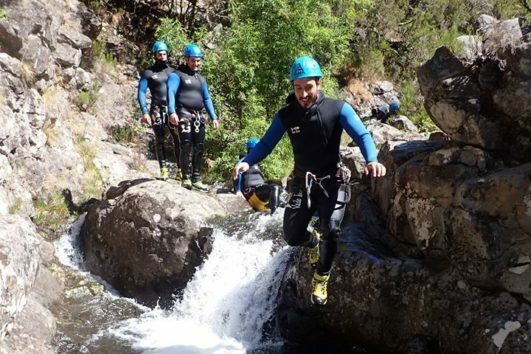 If you like nature, mountains, water and being active, you will love this trip! 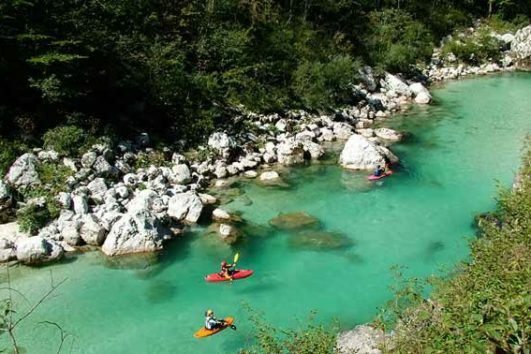 Slovenia is one of Europe’s jewels.